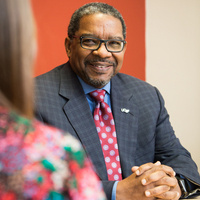 Please join Dean Talmadge E. King, Jr. and Executive Vice Dean Catherine Lucey for the first in a two-part series about our diversity initiatives. At this forum, they will be discussing and answering questions about the ongoing effort to make UCSF the most diverse, equitable and inclusive academic medical system in the country. At our April forum, we will focus on Differences Matter, the school’s six-pronged approach to initiating systemic change at UCSF.